RealEstate agents and brokers favor Home Staging as it presents the property in the best possible condition, and makes Buyers decision easier. Buyers normally have a difficult time visualizing. Vancouver, B.C. – Anyone looking to sell a home knows that the process can go quickly or be drawn out for months at a time. Therefore, staging can help move a home in a short a time as possible. The staging process is very straight forward. The seller does as many things as possible to make the home as inviting to a potential buyer as possible. This means everything from cleaning the home to taking extra time to make the yard look immaculate. “Many do not realize just how important staging can be in selling a home. Most people forgo the professional and jump on the Internet looking for tips and tricks. This only provides a general suggestion. I personalize the staging to match elements of the neighborhood, similar homes and recent sales. This way the seller maximized their opportunity,” said Renata Bellentani of eDesign Staging Consulting Décor. 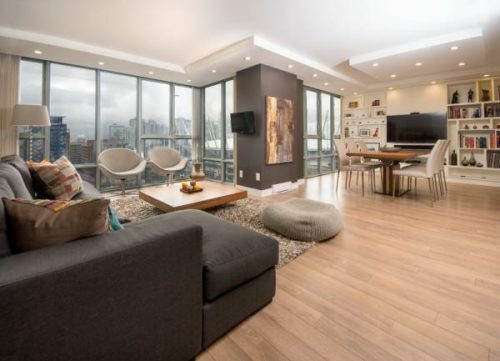 Home and Condo staging cost vary, according to age and condition of the property, but the investment in staging a property, is returned many times over and reflected in selling price achieved. Bellentani’ s individual approach also means maximizing the value of the home. Very often the asking price of a home is just that – an asking price. Sellers often make an offer much lower than the asking price in hopes of getting the best deal possible. A well-staged home can make the difference of tens of thousands in a selling price. “When possible clients here what a professional stager can do for them, they often realize the value. Speaking in tangible things – like home value and increased sale price – is enough to make them understand,” continued Bellentani. Bellentani and eDesign Staging Consulting Décor cover all of metro Vancouver and the surrounding areas. Visit http://www.redesignstagingdecor.com/ to see a portfolio, schedule an appointment or learn about other services offered.